The Waterdrop brand offers high-quality home water filtration solutions. By removing sand and sediments, reducing chlorine, cysts and many other contaminants, Waterdrop products improves water quality and ensures safe and healthy drinking water for millions of families worldwide. We had the chance to speak with Waterdrop about their partnership with The Water Project. Waterdrop has officially launched the Water4Smile Program to help children in need in sub-Saharan Africa. Their goal is to provide children at least one day of clean water from each Waterdrop filter purchased. When was the first time you heard about the water crisis and what inspired you to get involved? It was in 2016 when Philip, the president of Waterdrop, read online that many people are living without clean water today. He realized that many children and communities do not have any sanitation facilities and many people are suffering from water-related diseases. It made him feel terribly sad and astonished, but also made him devoted to providing a clean water solution. We believe clean water is a basic human right, but some people in the world don’t even have access to water in general, not to mention clean water. It was this news Philip read that motivated him to really do something. We began to search information on the Internet about the water crisis, like how to help those in need and how to end the crisis. We found The Water Project was working on it. We had the pleasure of speaking with Teri Wiltshire, Special Projects Manager of Master Pools Guild (MPG) and Carla Sovernigo, President/CFO of Alka Pool and past Chairwomen of MPG to learn more about their organization and commitment to providing clean water to communities in need. 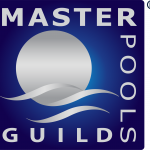 Master Pools Guild has partnered with The Water Project since 2015, raising more than $100,000 and helping 2000+ people gain access to clean water. Current members have grown up together, creating a special community, “It is not just an organization of businesses, it’s a family. And we connect to one another like family. We don’t just care about our businesses, we care about each other,” adds Carla. Bio Ouster is all about clean water. It’s more than just their business – it’s their passion! They are a leader in household water treatment of hot tubs, swimming pools, jetted bathtubs, washing machines and water filtration systems. In 2018, through a partnership with The Water Project, they expanded their clean water impact to include the developing world. We had the opportunity to speak with Managing Partner, David Wood, to hear more about Bio Ouster and their commitment to providing communities with access to safe water. Jade Yoga has been a supporter of The Water Project since 2011. Jade is committed to making the world’s best performing, most environmentally friendly yoga products and giving back to the earth with every product sold – including clean water! We had the opportunity to speak with Dean Jerrehian of Jade Yoga about his commitment to providing clean water through his business opportunities.